Two weeks ago, I received an email from Adagio Teas advertising a holiday giveaway. I went to the site and sure enough I won 3oz of their Cranberry blend with my next order. I’d been meaning to order more new teas to try, and the holidays are approaching, so I did! 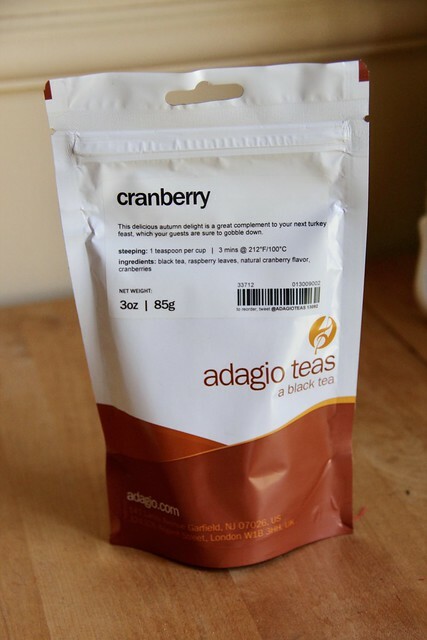 From the package, Cranberry contains black tea, raspberry leaves, natural cranberry flavor and cranberries. It is available in a variety of sizes: sample for $2.00, 3oz for $7.00 and 1lb for $19.00. When I first opened the bag I smelled the raspberry leaves most strongly, but also a hint of tangy cranberry towards the end. Once brewed the tea had a very berry aroma. The tea itself was fairly smooth and strong, with a nice raspberry flavor. I wish the cranberry flavor were a little stronger, but there is a nice hint of it at the finish. I’m tempted to brew this one over the holidays, maybe with some mulling spices? Sounds delish I wouldn’t be able to wait! 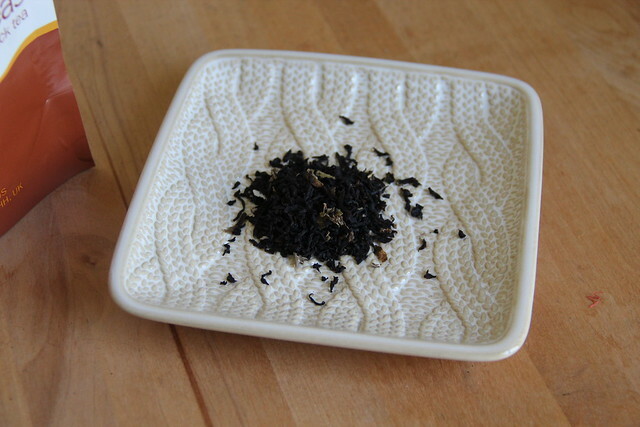 Next The Corner of Knit & Tea: Episode 111, Two steps forward, One step back.